We’ve still got five doors to attach, several more deliveries to receive, and a few important things yet to buy (particularly some cutlery, although I’m pleased to report that we do already have coffee cups and wine glasses). So lots to do, but how very exciting finally to have a place of our own in New York New York! 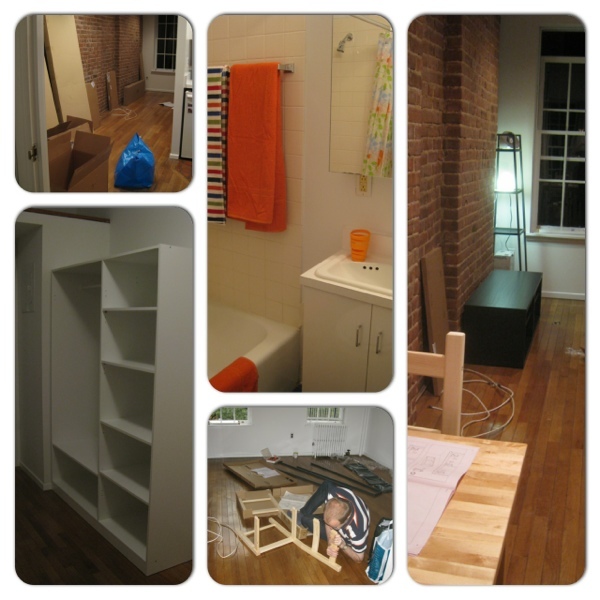 This entry was posted in Living and tagged flatpacks, furniture, Ikea, moving by Emma Davidson. Bookmark the permalink. Pleased to hear about your new flat/apartment – and that you survived Hurricane Sandy. What is your new postal address so that we can send you a Christmas card?